Privatisation Ukraine – A case of being half pregnant? At the beginning of the month an entry appeared relating to the proposed privatisation of several hundred Ukrainian State owned enterprises in the near future. Despite the many questions raised in that entry, a core theme was that subsidies have to end post haste, along with the tradition of government bad debt write offs/forgiveness and never ending recapitilisation, all of which simply feed the oligarchy one way or another. The income from sales of these enterprises to the State budget being a secondary consideration to the savings in subsidies. “Deoligarchisation” in Ukraine remains a very subjective thing. Not only have the oligarchy started to recover from their weakened position post Euromaidan and its immediate legacy due to a lack of reform momentum whilst the public were hungry for it and prepared for whatever pain was necessary, the oligarchy still commands an abnormal share of GDP, employment, political influence and media control. (Although like much of the media, to support loss making news it takes an oligarch to finance it.) Thus the degree of “deoligarchisation” is subjective. Since the above entry, several of the planned privatisations for 2015 have been postponed until 2016 pending the Verkhovna Rada passing certain legislation. There also appears to be a distinct lack of knowledge regarding how to go about privatising State assets in a transparent and competitive fashion. This statement, technically at least, is more than a little misleading. Having spent two days at the Odessa Finance Forum with senior representatives of the NBU, Finance Ministry and major Ukrainian banks, there is certainly the expertise amongst the Ukrainian ranks to manage privatisation in a textbook “western” manner – the issue is more likely to be one of having foreign input to allay any claims of nefariousness and thus avoid the folly of previous privatisations and re-privatisations when governments changed and didn’t like the original outcomes. Other originally scheduled privatisations remain on course for October and December 2015. The October and December privatisations are in fact being part-privatisations – and that may very well add to the reoligarchisation of Ukraine, rather than the deoligarchisation of Ukraine. The following announcement was made last week- “The State Property Fund of Ukraine (SPF) has once again revised the privatization schedule for 2015 and now plans to sell 25% of shares in power generating companies DTEK Dniproenergo, DTEK Zakhidenergo and Donbasenergo, and 25% of shares in Sumyoblenergo and Odesaoblenergo on the stock exchange in October. The decision is stipulated in fund resolution No. 1345 of September 14 which was published in the Vidomosti Pryvatyzatsii newspaper. According to the report, in November 5% of shares in Odesa Port-Side Plant, Sumykhimprom, Odesa and Kherson combined heat and power plants will be sold, along with 5% of shares in Zaporizhiaoblenergo, which has not yet had any of its shares sold, and 25% of shares in DTEK Dniprooblenergo and Kyivenergo, which will be left in state ownership after privatization tenders. How does this possibly reoligarchise Ukraine? Quite simply, aside from other sovereign governments, or those eilite large companies with close relationships and direct channels within their governments, who is going to buy a minority share in entities that will be at the directional whim of the Ukrainian government of the day? The answer is only those that can directly influence the Ukrainian government of the day – and that remains the existing oligarchy! As foreign governments and large foreign corporations are not likely to be excited about buying minority shares ranging from 5% to 46% in Ukrainian State owned companies with the major shareholder (Government of Ukraine) being historically either unpredictable or predatory or both (and there is nothing to suppose that cannot return with any election) it seems likely that only an oligarchy that already influences the government will have any serious interest in buying minority shares in State owned enterpirses. After all, holding minority shares in State owned enterprises is nothing new for the oligarchy – and neither is using their influence within the Verkhovna Rada to insure that their interests overrule the interests of the State majority shareholder. Part privatisation is like being half pregnant as far as Ukraine is concerned. It is neither one thing nor another. It will certainly not remove the subsidies that have to stop. Neither will the bad debt write offs/debt forgiveness or recapitalisation cease. This in turn does nothing to encourage the quality management required to make many of the State owned enterprises profitable. It does little to attract genuine FDI and thus provide for new foreign market entrants to dilute the oligarchical influence on GDP. As minority shares privatisation in State owned enterprises is likely to attract far more oligarchy attention than foreign attention, this in turn will lead to the reinforced perception of (nefarious) “business as usual” by way of the Ukrainian constituency perception of the current governing elites. There is nothing wrong with Government Ukraine retaining a “golden share” to insure no sensitive asset will see shares being sold on in bulk to hostile interests (ie a “Veto” share in such circumstances), but otherwise if a State owned enterprise has been scheduled for privatisation – privatise it, at least to the point where the Ukrainian State is the minority shareholder that will then benefit from serious external interest, quality external management and technological investment. Preferably simply privatise those State assets scheduled to be sold entirely – and make a clear break with the Soviet mental hangover relating to privatisation. Create independent regulators if necessary, and if so paranoid as to be concerned about the regulators becoming corrupt rent-seekers, place some foreigners amongst the regulator management. Part privatisation of State owned enterprises when reforming the Ukrainian economy will probably equate to being half pregnant from the perception of foreign investors. Allowing part privatisation to become the reoligarchisation of Ukraine will be a political, economic and quite possibly social disaster. 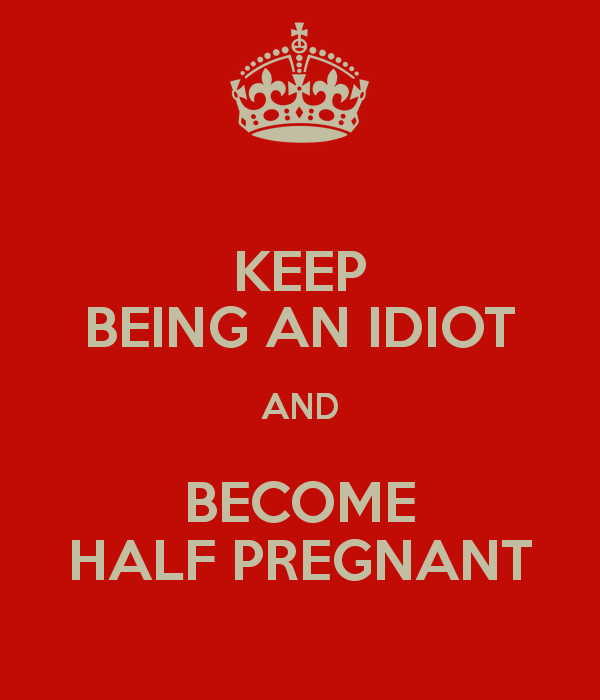 Can being half pregnant give birth to a reformed Ukrainian economy and liberal free market? Probably not! 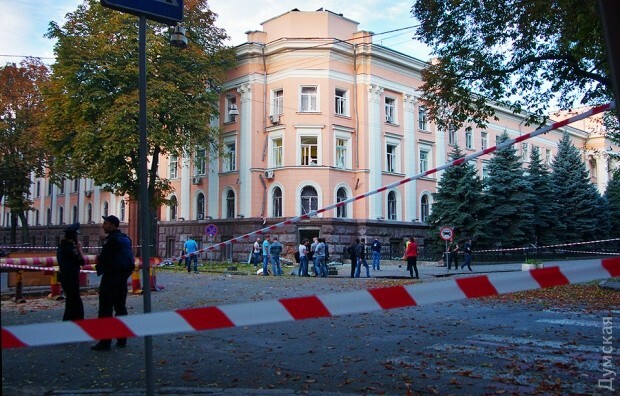 Following on seamlessly from yesterday’s entry relating to the bomb blast at the Odessa State Security Service (SBU) offices on Evreiskaya , in a first for any of the numerous terrorist acts in Odessa, a claim of responsibility has been made. The above is a man called Mikhail Dolgov who identifies himself as the “Virtual head of the Odessa Underground” and claims that “we”, as in the “Odessa Underground” partisans were responsible for the blast. Mr Dolgov is not unknown to the authorities in Odessa – he has a long history of mental illness and has recently escaped from his institutional home. Mr Dolgov is also a known associate of the rather extreme Alexander Vassiliev, a former Odessa City deputy of Igor Markov’s pro-Russian Rodina Party. Mr Vassiliev too has long left Odessa for more Kremlin friendly surroundings. Whether Mr Dolgov and whomever else “we” consist of actually carried out the bombing remains to be seen. It is certainly the first time anybody has claimed responsibility whilst the crime remains undetected, rather than admitted responsibility once caught regarding any bombings in Odessa over the last year or so. For how long the “Odessa Underground” will exist after claiming responsibility for bombing the SBU also remains to be seen. Those that follow the bombings of Odessa will know that different groups replace each other once caught. The “Communist 3” responsible for about a dozen Privat Bank and Samopomich Party blasts were not responsible for the rail track blasts. The rail track blasts that followed were committed by the “Orthodox Cossacks” and “Black Sea Knights”. When each group was arrested, their targets also ceased to be targets. When the “Odessa Underground” is eventually arrested (be it Mr Dolgov alone or with friends) another small group will replace them, perhaps with a different category of target – and so it will continue quite possibly for some years to come. Nevertheless, interesting and a first for a bombing to be claimed prior to any arrests – whether the claim is actually from those genuinely responsible or not is an entirely different matter. At 0442 hours on 27th September (according to your author’s watch) a bomb went off in Odessa. Sound travels at night and the explosion at the SBU offices on Evreiskaya was clearly audible in Arkadia. It is the first bomb to go off in Odessa for many months (although it probably won’t be the last when the dark nights and cold weather set in, for it is easier to hide identities under umbrellas, scarves, or a hat, and to secrete bulky objects beneath a coat – which is really not so easy when dressed in shorts, flip-flops and a T shirt during the hot summer). Like all previous bombs, it detonated at a time when casualties would not be expected. Almost all Saturday night/Sunday morning clubbers have gone home, street cleaners have yet to start their oh so early graft. Like all previous bombs the damage caused was structural. Unlike most previous bombs, the target was not a Kolomoisky bank branch, nor was it the political offices of Samopomich or Batkivshchyna Party offices. It wasn’t rail track, nor was it “big board” advertising placements. This time, strikingly, the target was an institution of State – the Security Service of Ukraine (SBU). “Увага! Нинішній теракт в Одесі – прямий наказ путіна. Деякі деталі по суті. В тому, що цей злочин справа рук ФСБ Росіі, жодних сумнівів. Варто зазначити, що черговий терористичний акт російських спецслужб на територіі Украіни, був чітко спланованим заздалегідь. Його головна ціль – залякування і попередження. Метою російських терористів не були передбачені людські жертви. Вони чітко відслідковували, щоб під час вибуху поруч нікого не було. Саме тому, було обрано відповідний час для дистанційного приведення в дію вибухового пристрою. Варто зазначити, що ворог може діяти і руками, прикуплених ними, так званих “патріотичних формувань”, для ще більшої дестабілізації внутрішньої ситуаціі в Украіні. НКВДшні методи впливу нікуди не ділися, вони працюють і сьогодні. Головний тіньовий заказник терактів 31 серпня під ВР і 27 вересня в Одесі – Кремль! Це провокаційний сигнал путіна перед його виступом на Генасамблеї ООН. Таким чином російський диктатор шантажує Украіну і весь цивілізований світ! Мовляв, дивіться, ми все можемо і тіпа “не при делах”. Зважаючи ще і на події в Сиріі, дії російського агресора цілком передбачувані і очевидні. Perhaps he is correct in where he apportions the responsibility for this latest terrorist blast, although “The fact that this crime – the work of the FSB of Russia, no doubt” is perhaps a little presumptuous, for some doubt there surely is when making such statements within a few hours of the explosion. Yet not all the bombings in Odessa were caused by the aforementioned in the above paragraph. A great many were – indeed the mjaority. The “Communist 3”, one of whom foolishly kept a diary, admitted responsibility for at least 10 explosions, but they do not account for all at the time of their detention. Far more remain undetected than are now detected following their arrests. There were certainly several bombings (about 10% of those that occurred) that have absolutely nothing to do with The Kremlin, pro-Kremlin groups or “professional Russians”. The spate of Kremlin sponsored bombings were simply used as cover for “business orientated/crime orientated score-settling and/or messaging” in which one more explosion was supposed to be lost amongst the many, sheltering beneath the umbrella of swift condemnation from Kyiv that pointed to offenders elsewhere. Had Kyiv an ear for the Odessa underworld it would have heard that not all roads led to Rome – or rather that not all explosions led to The Kremlin – before providing alibis for the criminality of Odessa. Thus, no matter how slight, despite the statement of Zoryan Shkiryak, there is some room for doubt as to where the responsibility lies at this time. This is particularly so as the SBU in Odessa has been very active and quite successful over the past 12 months. It has been arresting not only those that have been involved terrorist acts, and also the would be/wannabes, some of the loony left, and more recently some of the swivel-eyed right, but also allegedly corrupt military commanders from Odessa too. That is not withstanding raids on organised criminality at Odessa and Illichovsk ports, and arresting other State employees involved in large scale corruption etc. It follows that in doing its job fairly well and taking on those most extreme amongst the loony left and the swivel-eyed right, organised crime, nefarious “businessmen”, corrupt military and other rent seeking State employees – all of which have access to illicit arms and explosives to some degree or another – that whilst The Kremlin may well turn out to be the offender, it is by no means the foregone conclusion Mr Shkiryak states. Indeed, there would be few CT (counter-terrorism) officers (none that your author has met over many years) that would make such public statements before any meaningful investigations have begun. Any throwing about of the “who done it?” question around the CT office would remain very much unofficial and private – ultimately evidence led in the answer. Some readers may also wonder why an advisor to the Ministry of Internal Affairs is not advising the MIA over the issue rather than making public statements on Facebook that will be perceived by many as statements of the MIA. Perhaps it is an age thing, or the historical institutionalisation of your author in expecting government advisors to advise privately and discretely, whilst expecting ministers or press spokespeople to make public statements within hours of a terrorist incident? Your author was no stranger to CT theory or training, and when it came to public communication there were but a few rules of the game. The Golden Hour (the first hour after a terrorist incident) was to set the tone of communication. It was about factual information and advisory measures (if any). To explain and clarify what is going on. To explain and clarify the CT measures being taken. To confirm or deny rumours as quickly as possible. Clear and concise messaging. Avoid speculation. Remember no news is news, so update regularly even if to say there is no further news. The rules of the game were to avoid playing into the hands of terrorists. Avoid unnecessary rhetoric and alarmist wording. Limit the incident impact and stimulate the normalisation of society getting back to business as soon as possible. Use societal resilience to the advantage of the authorities and to the detriment of the terrorists. As far as talking to the public was concerned (for those that had to talk to the public), that was about it when it came to the rules. Whatever the case, it may very well be that Mr Shkiryak is correct – but as Kyiv has made such claims before and on occasion it has been quite wrong when it came to bombings and the motivations behind them in Odessa, perhaps a little more caution is required when making public statements based upon what appears to be circumstantial evidence and gut feelings – even if they ultimately prove to be correct? Will it effect the efforts and current work ethic of the SBU? The only public measurement may be the number of reported arrests over the coming weeks and months – although those are operationally dependent and not necessarily the best guide. As to what effect this most recent bomb has had on the public of Odessa, the answer very clearly today in the city centre was no effect at all (no differently to all the other explosions to be blunt). For those that are regularly invited to, and attend, the numerous professional conferences and forums held, there is a recurring theme – a legislative constipation within the Verkhovna Rada. Admittedly the intestines of the Verkhovna Rada, like so much in Ukrainian officialdom, is overly bureaucratic and therefore unnecessarily slow. A need for checks and balances there must be, but a glacial legislative output there cannot be when there is so much statute to create or amend, and even more to simply repeal, in order to finally put a sword to inherited legacies, self inflicted wounds, and move forward with momentum that can be seen. It is not as though the glacial Rada output produces quality legislation at the expense of quantity. Quality legislative emissions are few and far between despite the lack of quantity – and what little quality is emitted is then usually amended into absurdity within a few months of its passing. As almost all of the draft legislation pending submitted by ministries, experts and civil society requires a simple majority of 226 votes to improve conditions within various sectors of Ukrainian functionality (and progress toward European/International integration/normatives), it is perhaps necessary to question why the legislative output of the Verkhovna Rada is so glacial and yet so retarded with regard to the statute it produces. How to improve its dire performance both in quality statute and also quantity? Is it that the often lesser minds within the Verkhovna Rada simply have to change something – anything – within any draft legislation to make it somehow more acceptable to the relevant committee? A sort of legislative autism peculiar to parliamentarians in Ukraine whereby their only way of making sense of the legislative world around them is to insure they put “their mark” upon it to make it bona fide somehow? Even if that be the case, does that explain just how little required legislative change, no matter how seemingly minor, is actually being delivered? How can it be that at every conference and every forum regardless of topic and regardless of speaker position, all bemoan the fact that there is relevant pending legislation preventing progress to some clearly necessary and well thought through outcomes? The delays cannot all be blamed upon vested interests deliberately sabotaging progress, nor upon Rada committee members soliciting nefarious fees for their cooperation either. Having signed a memorandum on 3rd July with the European Parliament that has enabled a “Needs Assessment Mission” charged with preparing a report and road map (due by the year end) relating to comprehensive reform of the Verkhovna Rada itself, it is perhaps worth pondering just how swiftly any recommendations and legislative/procedural changes will actually take when they become mired within, and subjected to, the current and clearly suboptimal system. 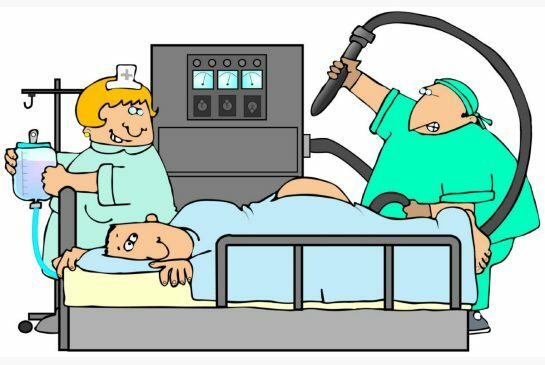 Perhaps the EP report and road map need become a priority 2016 reform – simply to act as a desperately needed enema that may ultimately release the continually accumulating pending draft legislation submitted by ministries, domestic and foreign experts and NGOs from within the aggravated bowels of the Verkhovna Rada? Opposition Block won’t run for Mayor of Odessa & A policy debate? Yesterday’s entry ended thus – “Thanks to Sergei Kivalov (of all people) there will now be a second round of voting (in all probability), and one in which Ms Fabrikant, Messrs Gurvits, Kivalov and Borovik stand a far better chance of causing a political upset – albeit that chance currently remains limited. Well, the Opposition Block are not going to put up a candidate for Mayor – Mr Turkhanov will be rather pleased (though probably not surprised). The City Opposition Block list will be headed by former-Governor (and Firtash/Lyovochkin man) Verkhovna Rada MP Mykola Skoryk. What is the ideological programme? When Mr Skoryk was a member of the Party of Regions it had no ideological programme. When he was Governor of Odessa he never once orated an ideological programme. The Opposition Block has projected no ideological programme since its formation thus far. Perhaps Mr Skoryk will present the Opposition Block ideological programme soon – surely Ukrainian politics could do with an injection of ideology that is neither loony left or swivel eyed right, so such a programme will be eagerly anticipated! Perhaps he confuses ideology with pathological kleptocracy? As for the slogan “Odessa it’s cool” – well it is rather flaccid and seems highly unlikely to spark electoral excitement when delivered by a lot of 50+ year old men in suits largely associated with the Yanukovych regime. It’s not really a slogan that will decrease nor increase the 25 – 30% the Opposition Block can expect within both city and oblast elections. But there may be a reason to get a little excited! If the Opposition Block really does have both an economic and regional development programme, then for once Odessa may see an election that is policy based with policies put through public and electoral scrutiny – as unbelievable as it may seem. For certain Solidarity and Sasha Borovik have an economic and regional development plan – for that is what he has been, and continues to work upon since arriving as Advisor to Governor Saakashvili. If it becomes an election about policy then Mayor Trukhanov, Ms Fabrikant, Messrs Gurvitz and Kivalov will have to campaign on future policy too – as will all parties contesting. As the general rule is “he that frames the issue first wins the argument” (assuming it is robustly framed), which of the rival political parties will call out the Opposition Block swiftly enough regarding its claimed economic and regional development programmes to frame the central electoral battleground as “regional development/economics, and for once bring about an election devoted to future policy (and not personality or local political history)? On a related note, some good news for the Solidarity Party in ‪‎Odessa‬ in that Sergei Kivalov’s Morskaya Party will run for the Oblast Rada and will almost certainly fail to reach the 5% threshold, but eat a few percent of the Opposition Block vote nevertheless. Before any of the runners and rider nominations for the Odessa elections were known an entry appeared with some guestimate figures and observations relative to the time (and unknown players). Those figures will be updated in a week or two as the elections get closer and a “sense” of where the constituency is at becomes more settled. A test of your author’s punditry despite it being a fools errand. 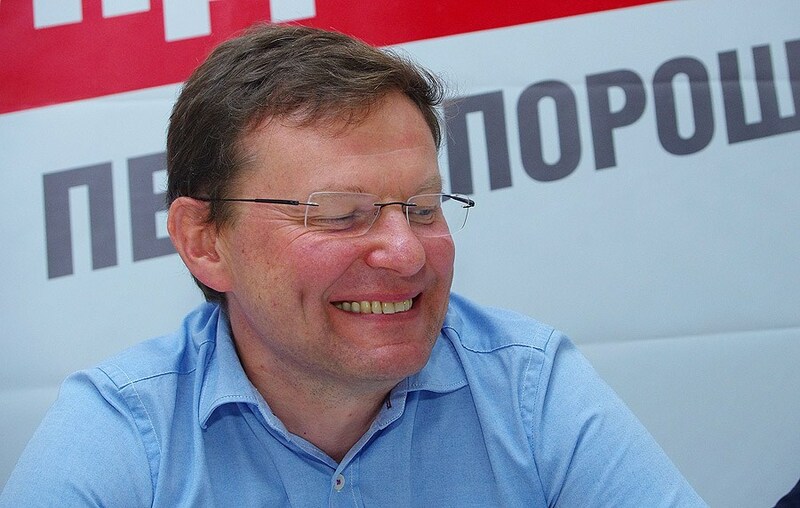 Yesterday’s entry confirmed the nominations of the Solidarity Party for Odessa and spent some time dwelling upon the possible fortunes of Sasha Borovik, the chosen candidate for Mayor. Within that entry it stated – “With the current Mayor Gennady Trukhanov likely to garner 55 – 60% of the vote, Mr Borovik as of the time of his candidacy announcement for Mayor can probably start from a solid 15% of the city constituency vote. No sooner had the “publish” button been pressed did your author receive a message stating that Sergei Kivalov has decided he will run for mayor. This occurrence now makes thing more interesting – and protracted. Had Mr Turkhanov received 55 – 60% of the vote there would be no requirement for a second round of voting. 51% would have been enough to win outright in the first round (no differently to presidential elections). However, it is guaranteed that Sergei Kivalov running will split the Trukhanov vote, and will certainly manage to take enough percentage of the Trukhanov constituency vote to bring the current incumbent bellow the 51% required to win outright in the first round. The second round of voting follows some 3 weeks later (although for presidential elections the time period is 2 weeks after the first round). To be blunt Sergei Kivalov is very unlikely to win, or indeed make it into the second round as one of the top two candidates – a situation he will be well aware of. So why is he running? Firstly, no matter how remote the chance, there is still a chance he could get to the second round. More realistically there are two reasons. The first is that his local political party Morskaya was predicted in the opening link to garner between 5% – 7% and thus just make it over the 5% threshold to take up seats on the city council. Mr Kivalov wanted to garner 10% of the vote which is extremely unlikely. In fact the 5% threshold is far too close for comfort. Therefore by running for mayor, Mr Kivalov will hope to give his party a small boost in an effort to insure the 5% threshold is passed. To be blunt he needs his party in the city council to sit on committees that will try and look after his (legitimate and also nefarious) interests. The second reason is to deliberately force a second round of voting, even though he will probably not be in the second round himself. As Mayor Trukhanov still seems certain the reach the second round, who else from the known candidates for mayor could he face? Obviously there is a chance Kivalov will make it (albeit slim). Sasha Borovik now stands a chance if he can muster even a 10% increase in the usual youth vote. There is also Svetlana Fabrikant (a Kolomoisky charade under the Vidrodgennya label rather than Ukrop) who could come second in the first round – but Sergei Kivalov gains nothing from these candidates reaching the second round against Mr Trukhanov. 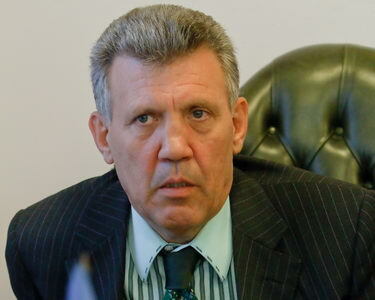 The last possibility is two-time previous Mayor of Odessa, Eduard Gurvitz. Mr Gurvitz may have always been of the “Orange” political stripe and Mr Kivalov of the “Blue” political stripe, but Odessa is a mercantile city and business has always trumped politics. Mr Gurvitz and Mr Kivalov are very, very good friends and have been for a long, long time. Both are also known for their highly questionable dealings historically. Ergo, putting Mr Kivalov’s slim chances to one side, the motivation for his running is twofold. An electoral “bump” for his Morskaya party and also to split the Trukhanov vote with the intention of Mr Gurvitz getting to the second round. However, giving Mr Turkhanov a pass to the second round, the electoral race in the first round (although other candidates may appear to change this), is between Ms Fabrikant, Messrs Kivalov, Gurvitz and Sasha Borovik all of whom are capable of coming in second and progressing. In percentage voting base terms as of today there is not much between these candidates – a guestimate would have Sergei Kivalov at approximately 15%, Ms Fabrikant at about 12%, Mr Gurvitz at about 17% and Mr Borovik at about 15%. Depending upon who makes it to the second round against Mayor Trukhanov, depends upon how stark the voter choice will be. A choice between Trukhanov and Kivalov is simply a choice between criminal master – or a choice between removing your own eyes with a spoon or removing them with a fork as either way the city will remain extremely corrupt and be robbed blind at every opportunity. Mr Gurvitz perhaps a little less so, with only a single eye being removed by a very affable man. Ms Fabrikant hands City Hall to Ihor Kolomoisky, but a vivid choice should it become a vote between Messrs Turkhanov and Borovik presents itself. Clearly Messrs Trukhanov, Kivalov and Gurvitz have long term name recognition in Odessa – as well as owning local media by way of TV, radio, newspapers and on-line news sites. Ms Fabrikant can rely on favourable Kolomoisky media, leaving Mr Borovik at a distinct disadvantage both in name recognition and in captive campaign delivery systems..
To remain with the Sasha Borovik theme of yesterday, and as he is the least known name amongst the local electorate, there will be things he will have to consider. The first and most important will be how to mobilise at least 10% more of the youth vote if he is to progress to the second round – where upon the electoral choice will be stark and all those who do not support Mayor Trukhanov will have the choice of voting Borovik or not voting at all and watching Trukhanov remain mayor by their inaction. A rapid marketing of the “Borovik” name is required. Mr Borovik would have a 3 week window between the first and second round to convince the “not for Turkhanov” voters to vote for him rather than simply not vote in the second round. With regard to the youth vote, Mr Borovik is yet to be seen in a suit, regardless of the occasion. (He tells your author that is because his wardrobe is still in Germany and he has had no time to go and collect it.) To be blunt, a “hipster” jeans and T Shirt dress code sits well with the youth – but it doesn’t turn a youth out to the polling station. As no other candidate will target the 18 – 30 demographic, even an ineffective attempt may be effective enough to pull together the initial 10% required to reach the second round. Some serious and swift thought has to be given to reaching the university/technical college voters. Mingling with the truly inspiration (and chronically under-publicised) young people at the “Impact Hub” in Odessa is no bad thing – for they are a connected and dynamic network of young people. In saying that, previous dismally failing attempts by historical candidates have taken on the form of the candidate talking as a “parent” to the student body/young professionals to the “child”. Parent to child conversations will not get the youth to vote. Adult to adult conversations (ie conversations being a two-way interaction) will stand a far better chance, and Mr Borovik speaks well and will gain some traction if a conscious effort to speak “adult to adult” is made. It is a demographic for him to capture if he can get in front of it enough. However, as your author is an experienced “politics watcher” in Odessa (at least to the point whereby election observers always seek out your author for insight) Mr Borovik’s faces a major challenge not so much in the candidates he competes against, but the very well oiled, almost militarily organised and professional teams behind those candidates. All have very experienced local (and in some cases national) election teams behind them that keep their candidates on message, primed with answers to difficult questions and prepped with difficult questions for them to ask of others, slick PR that overcomes their candidate’s usually very nefarious past, captive media outlets and a “gloves off” approach to campaigning. In short they have solid campaign structures behind them that are very much of the school where the ends justify the means, whereas Mr Borovik by nature and conviction is very much the means are equally as important, if not more so, than the ends. Mr Borovik would do well to quickly assemble a team around him that knows how best to put him on a level playing field on the campaign front, and do so in a manner that will not cross his moral lines. A campaign team that will push the fact that he is not only talking about reformist agendas – but that will continually highlight the fact that he has already made and implemented reforms within the few months he has been in Odessa – unlike the candidates who have never reformed anything in Odessa despite their lengthy political histories in the city. Turning up and speaking at events as “Advisor to the Governor” which he seems to do almost daily, does little to promote his candidacy for mayor unless he turns up as “Candidate for Mayor and Advisor to the Governor” in that order (audience depending). For certain win or lose as mayor, he will still enter City Hall when he will become City Deputy and Advisor to the Governor in that order (audience depending). If he can mobilise a 10% additional youth vote over and above that which does turn out, and increase his name recognition factor, if he can quickly assemble a campaign team that can run in the slick and seamless manner as those of his competitors undoubtedly will and are already mobilising, and if he pushes the fact he has already made more necessary changes to Odessa than his longstanding rivals ever have, then there is no reason why he will not be the challenger to Mayor Trukhanov in the second round. He will then have 3 weeks to present a very stark choice to the electorate. Thanks to Sergei Kivalov (of all people) there will now be a second round of voting (in all probability), and one in which Ms Fabrikant, Messrs Gurvits, Kivalov and Borovik stand a far better chance of causing a political upset – albeit that chance currently remains limited. However, if the Opposition Block put up a half-decent candidate, then that would really put Mayor Trukhanov on the back foot in the first round! It could all get very interesting very quickly – or not! A few days ago an entry appeared relating to a closed session of the Solidarity Party of Odessa and the thrashing out of candidates for Mayor of Odessa, number 1 on the party City list and number 1 on the Oblast list, as well as more generally who went on – or in some cases stayed on the party list despite nefarious efforts to take them off – as the internal shenanigans and power plays unfolded. Whilst it was clear to any reader via the clues provided your author knew the nominated candidates identities and of the malarkey behind the scenes, the identities of the eventual candidates were not stated as their official unveiling was not to occur until Wednesday 23rd. Not being a journalist, in no need of scoops, and certainly not about to breach a confidence when told one, only now can those identities be named, and a certain amount of the negotiations behind the Solidarity curtain be revealed. The above linked entry stated – “The decision was made today regarding the individual that will be named Number 1 on the Solidarity Party list for Odessa – although that name will not be revealed until Wednesday. Anybody that interested in pursuing the clues provided would have correctly arrived at Mykola Avilov who will be Number 1 on the Solidarity Party Oblast list. The candidate for Mayor, as well as Number 1 on the City Council list for Solidarity is Sasha Borovik, a current advisor to Governor Saakashvili in charge of “projects” and a soul often thrown out in front of the media and at innumerate conferences and forums as the “second face” of the Governor’s Administration. Without doubt, being the “second face” is certainly not something Mr Borovik had in mind when he came to work in Odessa as an advisor. Neither, it has to be said, would the thought of running for Mayor or indeed entering politics as a democratically elected politician have been on his agenda. Events a few days ago, it seems (and as outlined below), would suggest Mr Borovik has acted rather selflessly (and perhaps against his better judgment) for the benefit of the Solidarity Party – and hopefully for the city and oblast too. He was, however, per this entry weeks ago, the mostly likely candidate with any “pull factor” in your author’s mind when speculating over the Solidarity candidate for Mayor. “The previous Mayor, Eduard Gurvitz? At 67 years old and a “colourful” history? To turn the clock back to the weekend and the negotiations behind the curtain, as was stated in linked entries above, First Deputy Chairman of Odessa Regional State Administration, Vladimir Zmack, who wanted to be the Number 1 on the Oblast list, fortunately failed in that pursuit – in no small part due to having caused a lot of friction within the party rank and file since his arrival within the Saakashvili team. Reap as ye sew. Nevertheless the decision will continue to irk him and a close eye will be kept upon the people on the party list that he wanted to remove – but failed to. 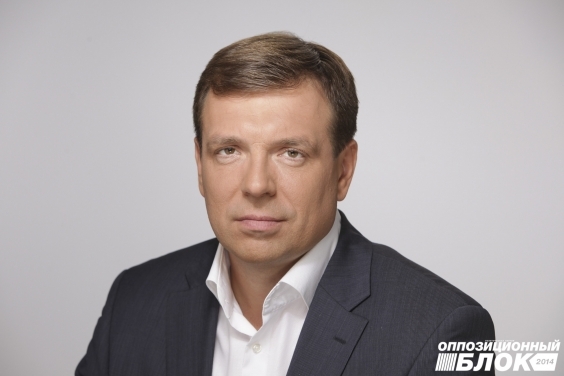 For any that advocate the projection of a reformist agenda (be it real or perceived) the rather uninspiring selection of Mykola Avilov is therefore not the best of choices – but is certainly not the worst of choices as far as internal party politics is concerned. With regard to the candidate for Mayor, as previously stated, two weeks ago Mr Borovik was at best lukewarm to the idea. Thus the Governor tried to forward a candidate called Burda – but Mr Burda refused. To cut a long story short, eventually, Mr Borovik ended up as the candidate despite at the time of his selection being somewhat less than excited by the national Solidarity Party brand. Locally that brand may be a little more exciting for him – or not. Today however, and for the press, Mr Borovik was officially announced as the Solidarity candidate for Mayor and simultaneously Number 1 on the City list. His nomination backed unanimously for the cameras and Mr Borovik humbly accepted the party nomination(s). With the current Mayor Gennady Trukhanov likely to garner 55 – 60% of the vote, Mr Borovik as of the time of his candidacy announcement for Mayor can probably start from a solid 15% of the city constituency vote. Mayor Trukhanov’s voter base seems unlikely to be split by any possible candidacy of Sergei Kivalov, who despite mutterings about running is very unlikely to actually run. Therefore Mr Borovik’s campaign will need to mobilise the reformists and the 18 – 30’s voter base to insure he stands a chance. After all Mayor Trukhanov does not appeal to a lot of voters of that age range. If there is any candidate that can and perhaps will draw the most from that demographic (as ridiculous as it may appear) it is the candidate in the below youtube clip. Does Mr Borovik’s campaign have sufficient time to energise the 18-30’s vote so that peak enthusiasm and turnout can be optimised? Probably not, but who knows? A solid, engaging and infectious campaign amongst that age group no Odessa politician has ever managed (or seriously tried). There is no precedent for targeting that demographic, and Mr Borovik unlike any other candidate has lived the aspirations of this part of the voting constituency. He has lived and worked abroad. He is an academic and also an achiever in the foreign private sector. When he talks about European integration and what it takes, he can talk about it as a candidate that knows very well what is required – and not as a candidate who thinks they know what may be required. Nevertheless, regardless of the campaign for mayor, Mr Borovik will become a democratically elected City Council member being Number 1 on the City list for Solidarity – that is 100% assured. Maria Gaidar, another advisor to Governor Saakashvili is also running for election on the Oblast Solidarity list too. Thus the infiltration of the Governor’s advisory team into the democratically elected politics of Odessa (both city and oblast) is underway. With President Poroshenko having already stated there will be more local elections in 2 years time (probably to accommodate the expiration of the “Special Law” relating to the Donbas), 2 years in City Hall will certainly provide time to mount a far better challenge for Mayor – as well as make life far more uncomfortable during that time for Mayor Trukhanov’s people, the Opposition Block and Sergei Kivalov’s Morskaya deputies, all of whom will perceive Mr Borovik as “the Governor’s man” – particularly if he also continues to be an advisor to the Governor. Whether Mr Borovik actually is “the Governor’s man” is a different question. Whilst Governor Saakashvili is very much an “ends justifies the means” persona, Mr Borovik seems far more inclined to question whether the “means can justify the ends” (based upon your author’s time with Mr Borovik). A democratically elected position independent of the Governor may lead to a far more identifiable Mr Borovik as Mr Borovik – and not Mr Borovik, advisor to Governor Saakashvili. There will of course be some that see Mr Borovik (and Maria Gaidar) as people that “don’t know Odessa” which may or may not be true (for they have both been immersed in the political fires of Odessa where learning occurs quickly), but they at the very least offer a reformist bridge between the old local political elite of Odessa and the active political generation starting to emerge that is not yet ready to leave the political nursery. As the perception of momentum is vital for reform, whether either actually “know Odessa” or not is perhaps a secondary matter. Regardless, as the future Mr Borovik now has ahead of him is certainly not the future he envisaged when he answered Misha Saakashvili’s call, and perhaps it is a future that still sits somewhat uncomfortably, then one must wish him good fortune and fortitude for his forthcoming adventure within the snake pit that is City Hall. Expect him to do rather better than many may expect when he gets there. You are currently browsing the Odessablog's Blog blog archives for September, 2015.